Curious to see what you're getting youself into? 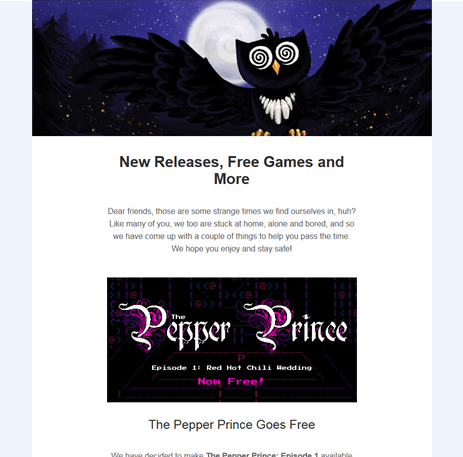 Check out our latest newsletter for a little preview! You want to keep up with new developments make sure you'll never miss another game announcement, podcast, video, or any of the other shenanigans we get up to? Well, now you can! Just enter your email address and receive regular newsletters about our recent activities! We might even invite you to beta test or give away keys, who knows!